Brilliant and perspicacious early 90s documentary feature on the US rave scene and acid house club culture beginning to kick into action. The hour long film examines all the scene entailed – the music, the media, the madness and the MDMA. As one young lady at the start puts it: It’s all about the rhythm and it’s all about the love. Word. Generation of Sound, the first of the ‘rave documentaries’, shot back in 1992 and 1993 during the last wave of techno’s mainstream action. 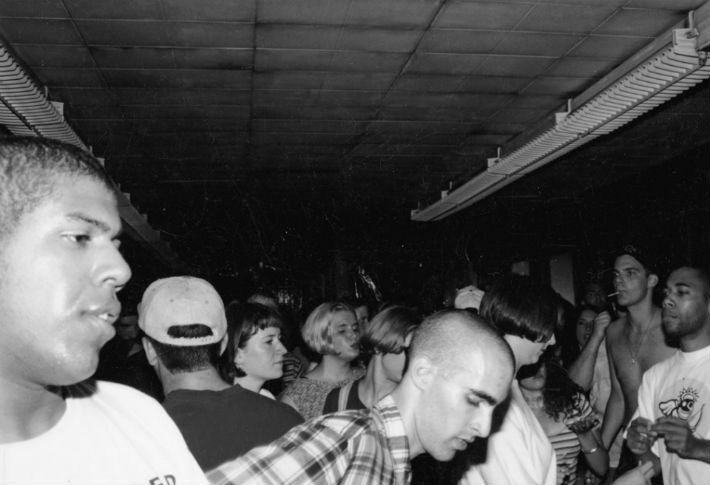 Armed with a camcorder and a Radio Shack editing suite, these filmmakers created a relatively accurate picture of the emerging American rave scene, profiling the DJs, artists, and promoters who built the foundation on which Better Living’s stars built their careers. You’ll catch low-budget, grainy interviews with the usual suspects (Frankie Bones, promoter Matt E. Silver, DJ Ron D. Core), footage of several classic American raves, and some early and all-but-forgotten West Coast dance music. Film geeks will find the production nauseating, but for aging ravers it’s a trip down memory lane. Watch Soul In The City on RR if you enjoyed Generation Of Sound. And for other bits and pieces to help amuse yourself during your down time, have a gander around here.